For info about supporting our organization click here. Yes! Please send me the bi-weekly Hike it Baby newsletter with awesome offers and the latest news. Yes! I would love to get (sweet) deals and updates exclusive to this community from our Title Partners (see our partners here). This Document affects your legal rights. Read it carefully before signing. HiB assumes no responsibility for providing medical care during the activity, and I will have to pay for any medical care and/or evacuation that I and/or my family incur. Assumption of the Risk: I voluntarily, knowingly, and expressly assume the above-mentioned risks as well as other risks not listed that are part of the activity, and any harm, injury or loss that may occur to me or my property as a result in my participation in the Activity or during any transportation to or from the Activity—including any injury or loss caused by the negligence of HiB, its employees, agents, and officers, its contractors, and other Activity participants. I also understand that any equipment I provide or may borrow or rent from HiB or any other provider I used at my own risk and that any such equipment is provided without any warranty about its condition or suitability. RELEASE OF LIABILITY: I hereby RELEASE HiB, its owners or members, heirs, agents, attorneys, employees, assigns, other participants, sponsors, advertisers, contractors, equipment providers, landowners, municipal or governmental providers of use permits, and their respective employees, officers, and directors (“the Released Parties) FROM ALL LIABILITIES, CAUSES OF ACTION, CLAIMS AND DEMANDS that arise in any way from any injury, death, loss or harm that occur to me or to any other person or to any property during the Activity or in any way related to the Activity, including during transportation to or from the Activity. This RELEASE includes claims for the negligence of the Released Parties and claims for strict liability for abnormally dangerous activities. This RELEASE does not extend to claims excluded from being waived by law. I also agree NOT TO SUE or make a claim against the Released Parties for death, injury, loss, harm, or property damage or destruction which occur during the Activity or are related in any way to the Activity. INDEMNIFICATION HOLD HARMLESS AND DEFEND: I promise to INDEMNIFY, HOLD HARMLESS AND DEFEND the Released Parties (defined in Section 3) against any and all claims to which Section 3 of this agreement applies, including claims for their own negligence. I also promise to INDEMNIFY, HOLD HARMLESS AND DEFEND the Released Parties against any and all claims for my own negligence, and any other claim arising from my conduct during the Activity. In accordance with these promises, I will reimburse the Released Parties for any damages, reasonable settlements and defense costs, including attorney fees that they incur because of any such claims made against them. I agree that in the event of my death or disability, the terms of this agreement, including the indemnification obligation in this Section, will be binding on my estate, and my personal representative, executor, administrator or guardian will be obligated to respect and enforce them. HIKE HOSTS: HiB encourages everyone to participate by hosting hikes and other activities. I acknowledge that HiB has no control over and assumes no responsibility for the actions of any hike hosts at any time before, during, and after the Activity. I acknowledge that HiB has no control over and assumes no responsibility for the actions of any independent contractors providing any services for the Activity. Additionally I know that branch ambassadors, hike hosts, and other participants of the Activity may have experience, training, or knowledge with baby wearing and child carriers. I understand any help, advice, adjustment, etc. I receive from these individuals should not be construed as professional advice but merely friendly suggestions. It is my responsibility to make sure I am familiar and comfortable with whatever method I choose to use to transport my baby. INSURANCE: I do not expect HiB to provide insurance or pay for any costs associated with harm, including being injured or killed, to my family or myself. I know that I have the option to purchase my own insurance. If I were to suffer any type of loss during the Activity, I would not want my loss to negatively impact HiB. As I am assuming all of the risks associated with the Activity, I would find it harsh and inequitable to ask HiB for indemnification relating to any events occurring during the Activity. HiB AND THE COMMUNITY: I believe HiB serves a compelling public interest. 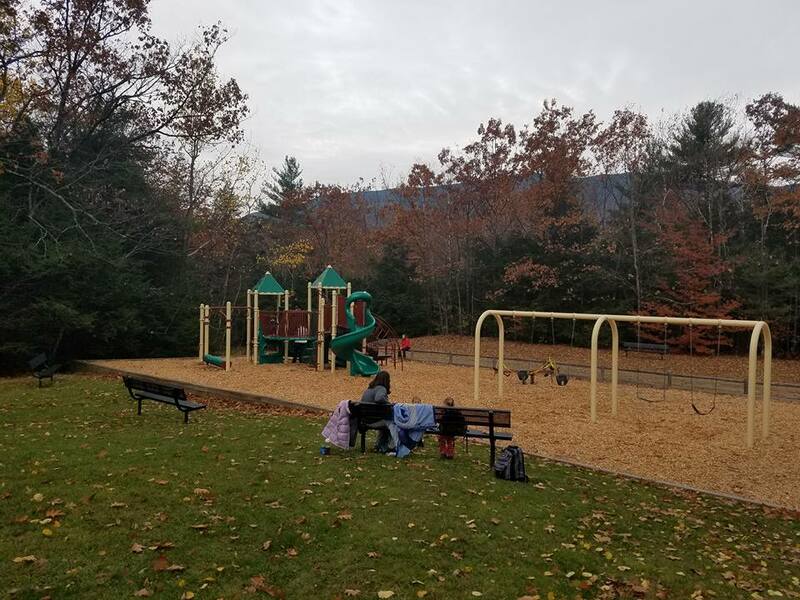 It is important to me to see that HiB maintains a strong public presence so that parents and caregivers are inspired to get out and explore nature. I would not want to see HiB limit or restrict its activities because of concerns over liability. Participating in the Activity with HiB is a purely recreational endeavor. I know there are numerous trails, campsites, parks, and other natural areas available throughout my area where I could hike and enjoy other outdoor recreational activities without limiting my rights as a plaintiff. I do not believe this agreement reflects a disparity in bargaining power. I view Hike it Baby as a group of like-minded participants working together to further common goals. I view myself as a member of the organization and not a customer or client. I understand that if I do not like the terms of the waiver, I am free to submit a counter-proposal to HiB organizers. USE OF MY LIKENESS: I understand that during the Activity I may be photographed or videotaped. To the fullest extent allowed by law, I waive all rights of publicity or privacy or pre-approval that I have for any such likeness of my family or myself or use of my name in connection with such likeness, and I grant to HiB and its sponsors, partners, advertisers, and assigns permission to copyright, use, and publish (including by electronic means) such likeness of me, whether in whole or part, in any form, without restrictions, and for any purpose. SEVERABILITY: I agree that the purpose of this agreement is that it shall be an enforceable RELEASE OF LIABILITY AND INDEMNITY as broad and inclusive as is permitted by law. I agree that if any portion or provision of this agreement is found to be invalid or unenforceable, then the remainder will continue in full force and effect. I also agree that any invalid provision will be modified or partially enforced to the maximum extent permitted by law to carry out the purpose of the agreement. MEDIATION AND ARBITRATION AGREEMENT: This agreement is governed by and shall be construed in accordance with the laws of the state of Oregon, without any reference to its choice of law rules. Any controversy or claim arising out of this agreement or in any way associated with the Activity shall be settled by arbitration in accordance with the rules of the American Arbitration Association (“AAA”). All hearings and other procedures shall be held in Multnomah County, Oregon, before an Arbitrator who is a licensed attorney with at least 5 years of experience. A judgment upon the award rendered by the Arbitrator shall be entered in a Court with competent jurisdiction. As a condition precedent to the filing of an arbitration claim, the parties agree to first mediate any claims between them. Any party refusing to mediate shall not prevent the other party or parties from pursuing their claims in arbitration. The arbitrator’s decision shall be final and binding and judgment may be entered thereon. In the event a party fails to proceed with arbitration, unsuccessfully challenges the arbitrator’s award, or fails to comply with arbitrator’s award, the other party is entitled of costs of suit including a reasonable attorney’s fee for having to compel arbitration or defend or enforce the award. I HAVE FULLY INFORMED MYSELF OF THE CONTENTS OF THIS AGREEMENT BY READING IT BEFORE SIGNING IT. NO ORAL REPRESENTATIONS, STATEMENTS OR OTHER INDUCEMENTS TO SIGN THIS RELEASE HAVE BEEN MADE APART FROM WHAT IS CONTAINED IN THIS DOCUMENT. I UNDERSTAND THIS IS A CONTRACT THAT AFFECTS MY LEGAL RIGHTS AND I SIGN IT OF MY OWN FREE WILL. THIS CONTRACT CONTAINS A BINDING ARBITRATION PROVISION WHICH MAY BE ENFORCED BY THE PARTIES. In consideration of the minor child being permitted to participate in the Activity, I accept and agree to the full contents of this agreement. I certify that I have the authority to sign on behalf of the minor child and to make decisions for the minor child regarding this Activity. I also agree to RELEASE, HOLD HARMLESS, INDEMNIFY AND DEFEND the Released Parties (defined in Section 3) from all liabilities and claims that arise in any way from any injury, death, loss or harm that occurs to the minor child during the Activity or in any way related to the Activity. This includes any claim of the minor and any claim arising from the negligence of the Released Parties. I understand that nothing in this agreement is intended to release claims any liabilities that governing law does not permit to be excluded by agreement. Responsible Party's Date of Birth * You must be at least 13 years old to register. 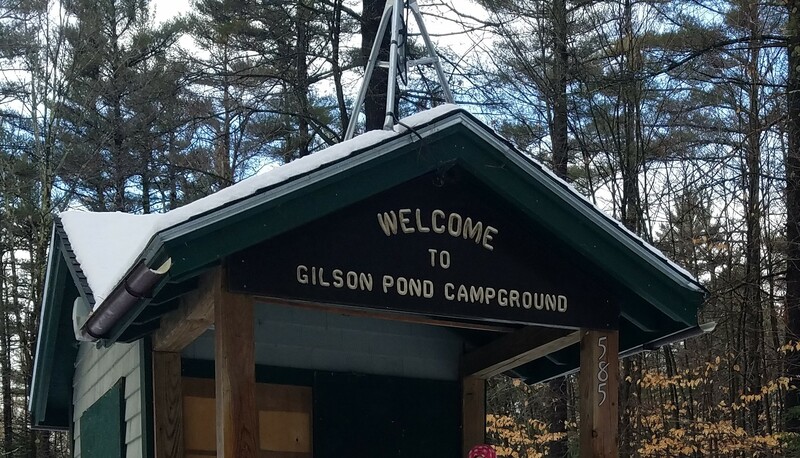 The Gilson Pond Loop is located inside the Gilson Pond Campground which is part of Monadnock State Park. It is accessible year-round, even when the campground is closed. In the summer months, there is a hiker parking located at the top of the access road. In the winter months, there is a designated spot at the bottom of the access road and hikers must walk up the road. 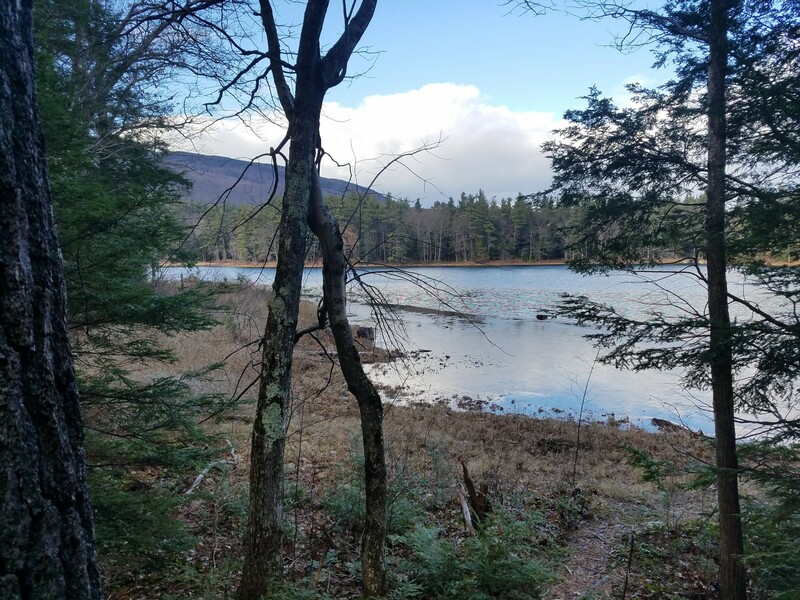 The Gilson Pond Loop is a short hike around Gilson Pond that is wooded and offers great views. It is not stroller friendly and carriers are necessary for younger hikers. This trail is prone to flooding and wet areas throughout the year so good waterproof shoes are highly suggested. For an alternative stroller friendly walk, the campground loops offer easy walking along the dirt roads. There is a small playground here as well as a picnic area with charcoal grills. Pit Toilets are located near the parking areas, close to the playground and among the campsites. Running water is available seasonally. Cell phone service is spotty and limited. The Day Use Fee is only collected during the camping season. When the campground is closed the fee is an optional donation. Please consider paying even when it is optional as the NH State Parks are privately funded and do not receive tax dollars. Lyndsey started hiking when her daughter Aubrey (5) was just a few months old. Lyndsey and Aubrey have been hiking together for almost 5 years now and have made some impressive climbs over those years. Lyndsey has been an ambassador for Hike it Baby since January 2015. They live in the Monadnock Region of NH and they have many small mountains to hike all around them and they venture the two hours north to the White Mountain National Forest as often as they can. Lyndsey and Aubrey started their NH 48 4,000 footer list when Aubrey was just 3.5 years old. To date, they have completed 2/48. They have been working on the NH 52 with a View list as well and have completed 7/52. Hiking had such a huge influence on getting over PPD that she wanted to help other local parents get out on the trails and build a community that is different from the other typical mom groups. 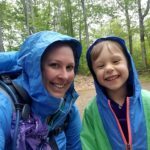 Over the years she has learned so much about hiking with young children, from picking different carriers to choosing trails for toddlers. She wants to share her knowledge to help others, as this information was impossible to find when she was just starting out hiking with Aubrey! Lyndsey also writes for her own personal blog www.summitmommy.com that chronicles her and Aubrey’s hiking adventures together as well as offers articles and trail suggestions for families hiking in New Hampshire! Hike it Baby Family Trail Guide is an online resource to help families with children source trails that little legs can hike and parents can feel comfortable with. 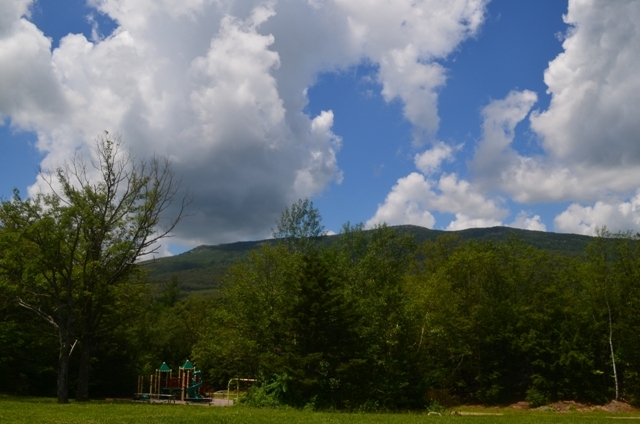 Hike details are sourced and have been hiked by families who participate in our community. Our contributors do their best to give you all the details they can, but if something is missed, you can reach out to the contributor and offer suggestions for them to add to make it a better trail description for all. This guide was built with a generous 3-year partnership with L.L Bean. Like Hike it Baby, L.L Bean believes that helping get families into nature from birth on is key to healthier, happier communities. Hike it Baby makes every effort to keep trail content up to date, but trail conditions are subject to change. Hike it Baby is not responsible for any injuries that occur while hiking the trails covered in this guide. 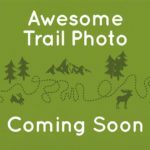 Hike it Baby is a platform that helps connect families to federal, state and local parks nationwide.